Here we are, again. 3rd time lucky? I have a brilliant relationship with Slimming World, just not necessarily a great one with food when I'm not doing it. I've been fairly lucky to have kept off the 3 stone I lost the first time round and back in July 2016 I looked/felt the best I had in a long time after shifting a few more lbs. But then I stopped doing everything I was working so hard on, the hours at the gym, the Paleo diet and since then I've been a very big hole full of being lazy and eating whatever the hell I wanted. It wasn't until the clothes I fought so hard to get in to started to feel tight and then not fit that I thought it really need to get myself together. The Hughes wedding is also later on this year and being one of the bridesmaids I want to look the absolute best for my girl. So last week I re joined Slimming World. It's a group about ten minutes away (not 10 seconds like last time) but its on a Saturday morning which is absolutely ideal for me. I was pretty nervous I must admit, I didn't really click with anyone at my last group and I was worried It would be the same but thankfully it wasn't, there were a few of us joining at the same time and everyone in the group was really friendly which was a great weight off my mind. I've just got back from my first weigh in and I'm very pleased to say I've lost 6lbs which is a great start, I'm over the moon! Wasn't expecting that at all! On to what I've been eating in the past week. It's been really nice to go back to old favourites and discover new foods too. I've actually enjoyed all of my meals this week but I think my favourite has to be Slow Cooked Beef, it was simmering all Sunday afternoon and apart from 4 syns for the red wine I threw in, it was totally syn free. Really filling too! For breakfast I've been mixing it up between yogurt and berries or Wheatbisks and banana. Lunches have been salads, Slimming World Quiche and homemade vegetable soup. Dinners have been a mixture, I've really upped my vege intake and have had a mixture of fish, chicken, red meat and vegetarian dishes. Can I also get a high 5 for resisting the biggest pile of cakes at a meeting this week? I'm talking muffins, eclairs, cheesecakes... all the cakes! And I didn't have a single one. I did however have a bowl of popcorn for 6syns at the weekend which was syns well spent. I buy all of my meat from Muscle Food, you can use my code VP252035 at the checkout to receive 4 free chicken breasts. Alternatively check out their bargain bundles, my personal favourite is the 65 Piece Best Of British. Their stuff is amazing quality, you won't be disappointed! 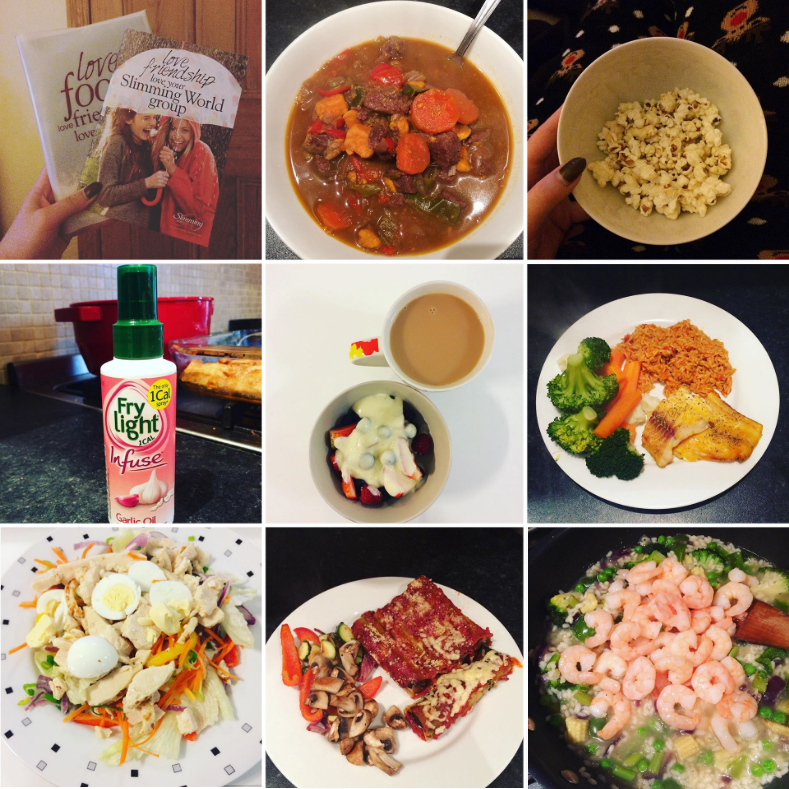 Favourite meal last week? Slow Cooked Beef but Spinach Cannelloni came a close second. Learnt anything new? Oranges are really great if you've got a sweet tooth. Complete last weeks aims? I lost something which was the only aim I had. Any new dishes to try? I really want make overnight oats, I always hear great things but have yet to try. Wow 6 pounds is amazing! I am starting my new lifestyle this week! Congratulations on your loss! 6lbs is really amazing. Good luck with your goals this week. Well done on your loss and good luck for the rest of your journey. I am also following the SW plan and have been for a few months now. I have requested to follow your SW insta page so will (hopefully) be following your journey on there as well as on your blog.